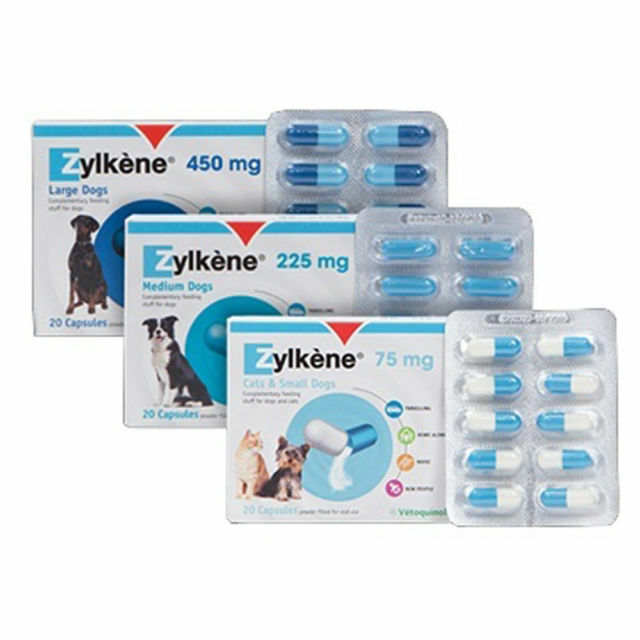 Zylkene is a natural product which can help to support cats and dogs when in a stressful situation such as a house move, introducing a new pet or baby, fireworks and festive season, kennel and cattery stays and other situations in which your pet may become fearful and exhibit unwanted behaviour. Zylkene only needs to be given once daily and is easy to give. Simply open the capsule and mix the palatable powder with food or a treat. YuCALM Dog is a premium supplement for stressed or anxious dogs. The clever combination of scientifically proven ingredients make a tail-wagging difference, by supporting natural calming pathways in the brain. YuCALM Dog is an effective way to help reduce stress and support dogs to become more happy and playful. What's more, it's all natural - so you can use it every day to get more out of life together.